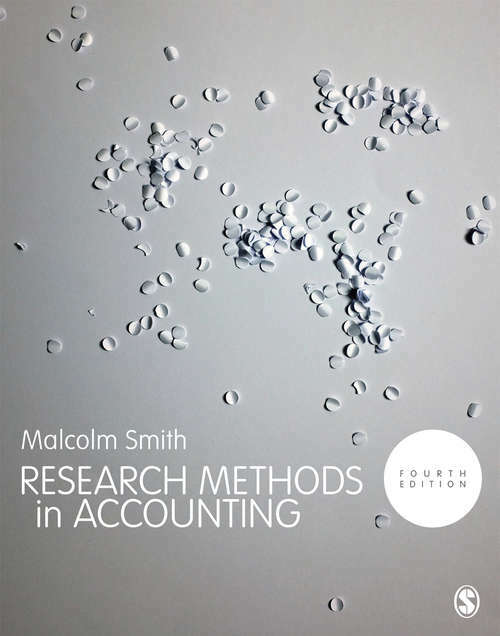 Designed specifically for accounting students and researchers, Research Methods in Accounting is a unique text used by over 10,000 students that provides a thorough understanding of the research process. Using practical and real life examples from industry, it outlines the relevant methods that can be applied and offers a dedicated chapter on publishing your research. New to this edition: New examples and updated content on the use of archival methods and accounting processes A new section on mixed methods research Expanded coverage of structural equation modelling and partial least-squares analysis Further discussion on the topic of theoretical foundations when choosing between research methods Suitable for students at advanced undergraduate and postgraduate levels, as well as accounting research practitioners.